Become a partner today with AFP and start promoting your company to hundreds of AFP professionals, philanthropists, and community leaders. 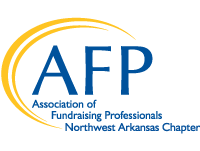 The sponsorship packages outlined within this prospectus are designed so that your company realizes enhanced recognition at AFP’s annual National Philanthropy Day, Summit Series, and monthly educational luncheons. Your investment is a tax deductible contribution. For more information please contact Megan Cuddy or Emily Rappe' Fisher.